In 1979, Doc Hollis founded an aluminum design and fabrication facility known as Hollis Welding. He and his team worked on industrial designs for items in the marine, communications and aerospace industries. On several occasions underwater wood stoves from hot tubs would come into the shop for repair or redesign, and Doc became interested in improving their design for these customers.In the Eighties Doc ventured into home building and founded a company which built cedar log vacation homes in the White Mountains of New hampshire, and called this construction firm Hollis Associates. 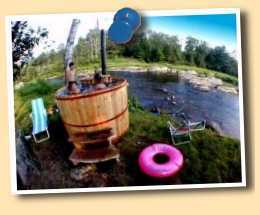 With both an aluminum manufacturing facility and a fully functional woodshop that worked with Cedar, it was natural, after Doc moved to the mountaintop, that he began wanting a wood fired hot tub of his own. 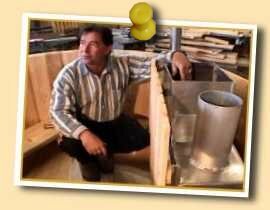 He researched every tub on the market, determined their drawbacks, and set about designing a tub and stove, from the ground up so that he could have the finest designed and built tub possible. After he built it, everyone who saw it wanted one custom built for themselves. 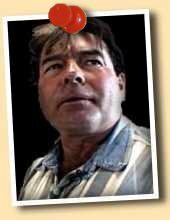 When Doc found how pleased people were with his design and how happy and healthy they reported their experiences to be with his product, he made more and more, and finally merged the metal and the woodshops and Dr. Hollis Wood Fired Hot Tubs was born. Now, over one thousand Tubs later, Doc lives on the mountaintop high in New Hampshire, and the next tub he builds will be going to YOUR HOUSE!